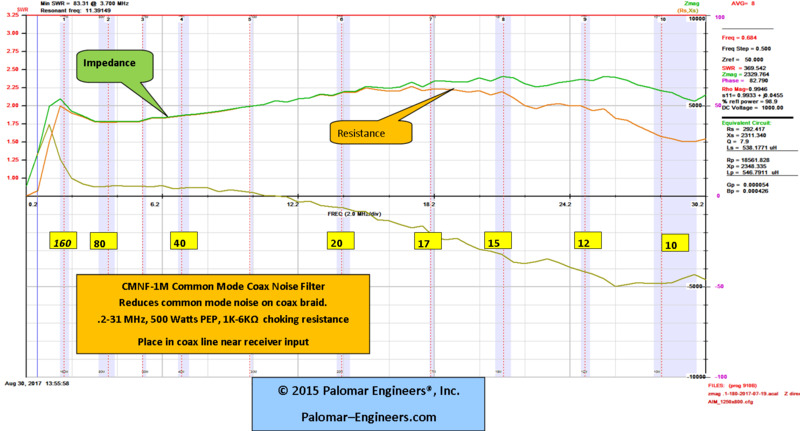 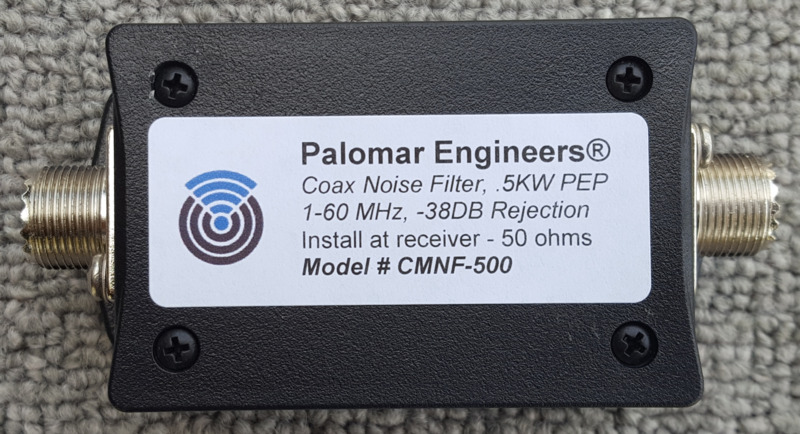 - Reduces broadband common mode receiver noise* picked up on the outside of the antenna coax feed line. 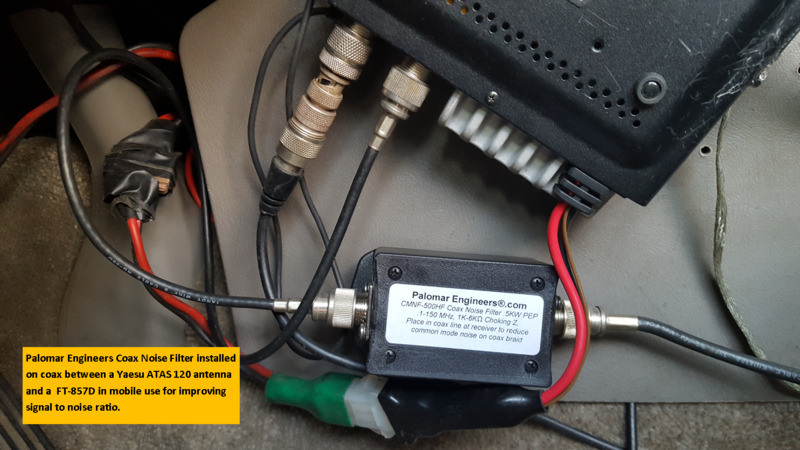 Installation Note: For best results, and to reduce co-interference between choked and unchoked coax feed lines with multiple antennas, ALL antenna feed lines entering the radio room need to have a separate feed line choke particularly if they are at a different frequency then HF, like VHF or UHF. 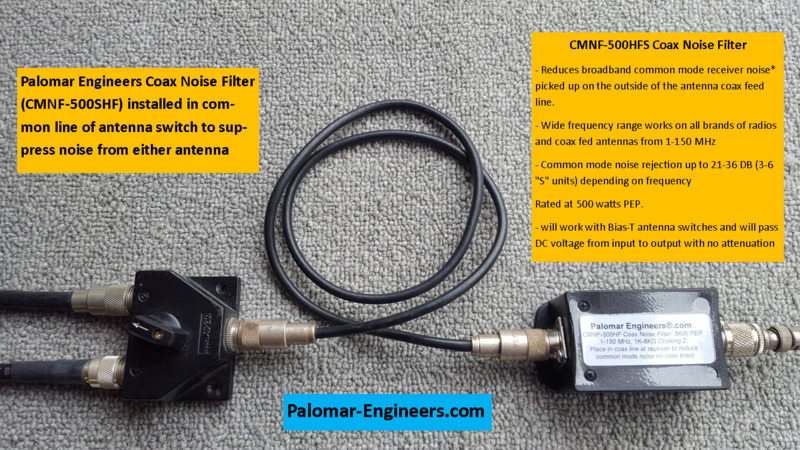 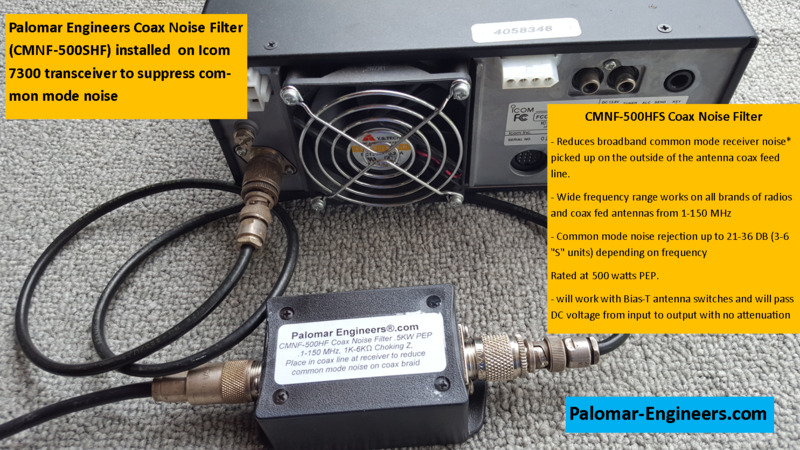 If you use a antenna switch for multiple antennas in the 1-61 MHz range, place the CMNF-500HF in the "common" line of the antenna coax switch and the receiver. 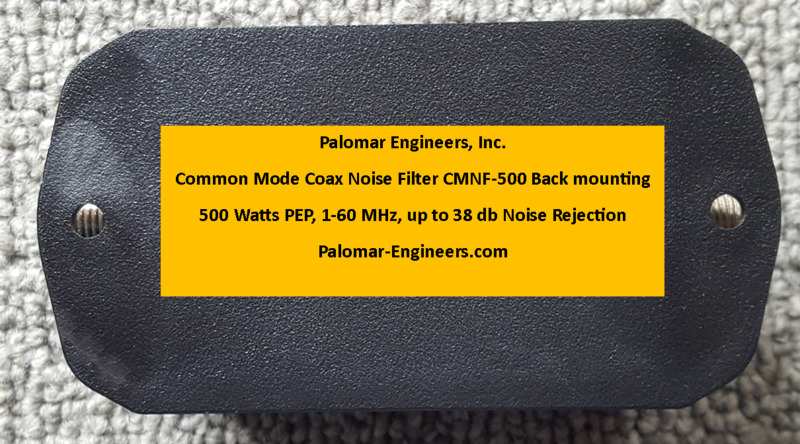 If you use a higher powered transceiver over 500 watts PEP or use an amplifier, consider the CMNF-1500HF (1.5KW PEP) or CMNF-5000HF (5KW PEP) placed at the output of the amplifier. 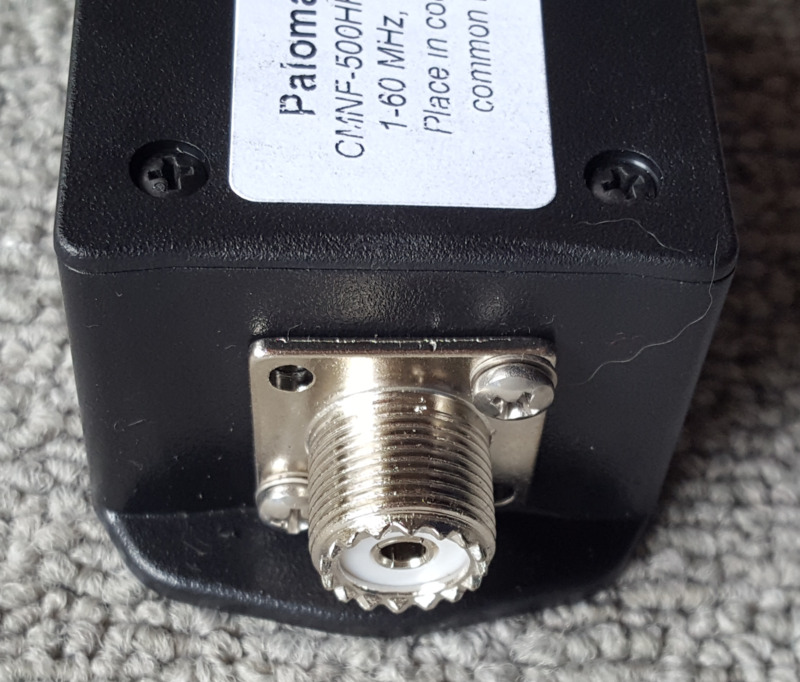 Enclosure Size (inches):3" x 2 x 1"